TU published Entrance Exam Notice for 4 years B.Sc. on Biological and Physical group. According to the Office of The Dean, the application form will distribute from 2075/04/30. The application form will get from related colleges and can download from the official site. The last date for submission entrance form is 2075/07/20. According to notice entrance exam center will publish later. Check full details on TU B.Sc. 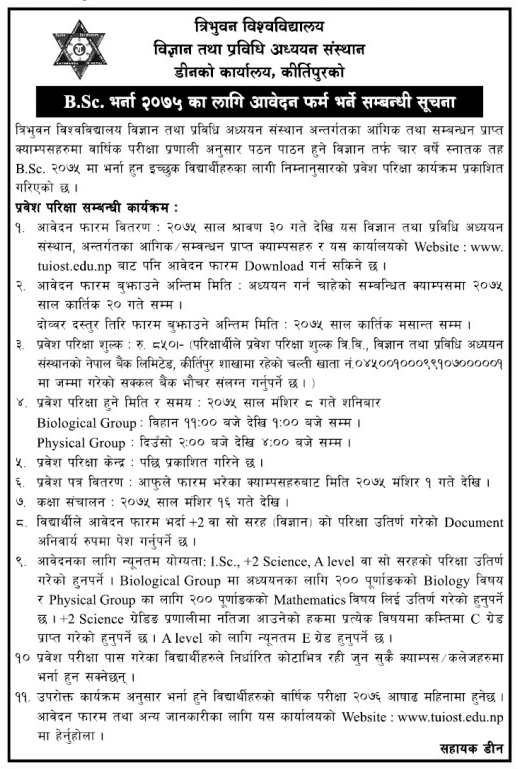 Entrance Exam Notice 2075 below.